Posted on 10, February 2016 by EuropaWire PR Editors | This entry was posted in Management, United Kingdom and tagged EY, Koichi Tsuji, Mark Weinberger, Scott Halliday. Bookmark the permalink. EY announces the appointment of Scott Halliday as its new Area leader for Japan, effective 1 March. The EY member firms in Japan together represent nearly 8,000 people. LONDON, 10-Feb-2016 — /EuropaWire/ — In his role as Area Managing Partner (AMP), Halliday will be responsible for leading the execution and alignment of the global strategy in the Japan Area, as well as promoting a common EY culture and core values. 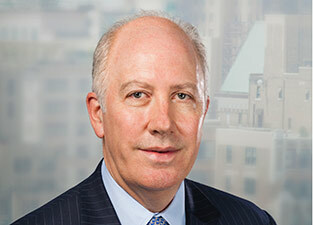 Halliday will also join EY’s Global Executive Committee. Halliday, 55, has been with EY for more than 30 years and is a Certified Public Accountant (CPA). During his career he has audited large multinationals and entrepreneurial companies across a broad range of sectors, including United Airlines and Compaq Computers. Halliday has worked widely in the international arena, including secondments in Kuwait, Australia and the UK, where he became the UK Country Managing Partner and Regional Managing Partner (RMP) for UK & Ireland in 2007. Halliday returned to the US in 2011 and became RMP Northeast and a member of the Americas Operating Executive. “The Japan Area is a very important part of the EY organization and Scott Halliday will provide us with strong direction and professional rigor to support our intense focus on improving audit quality and stakeholder trust in Japan.